Jhandi dara, an absolutely new hill top can be your next weekend destination. Known for its majestic Sunrise view, Jhandi dara is coming up rapidly as a place to take a halt for a day or two. Lush green Sal and Pine Trees covering this hilltop all around with white Kanchenjengha standing high with its wide spread ranges on the backdrop, makes the place amazingly picture like. A delightful place for bird watching too, Jhandidara can be easily accessed via New Mal Jn. on the way to Lava. It takes around 2 hours to reach Jhandi dara from New Mal Railway Station. If you are having some more days to afford, the whole region of Lava, Lolegaon, Charkhole, Rishyap, Kolakham can be covered along with Jhandi dara. Just at a mere 9 km drive from Lava, Jhandi dara offers picturesque Himalayan beauty with green carpet like cover, snowy white Kanchenjengha, deep blue sky. Till today, in a not much exploited status, Jhandi dara offers tranquility and quietude atmosphere to relish for years. The Lava Escape Resort or the Jhandi Eco Huts offers picturesque surroundings along with state-of-the-art facilities for visitors to relax and witness the natural beauty of the Lava. 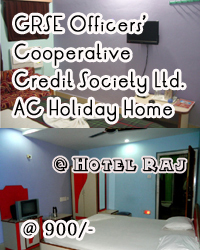 The Lava Escape Resort is located on Jhandi Danra, near Suntaly, Lava, Kalimpong - 734319. The nearest airport is Bagdogra in West Bengal. Places of Interest : Samabeong organic tea Garden, Sunrise point and Sunset Point, Lava Buddhist Monastery, Beautiful Green Pine trees, Changay Falls, Indira Gandhi National Park, Lolegaon, Reshap. The facilities offered in the resort include room service, laundry facilities, housekeeping services, travel assistance, limited car parking area. The resort offers 9 comfortable and wooden finish rooms.. Every room has an attached washroom with hot and cold water supply. No TV and no News paper. Ethnic Local food, Chinese food and Indian food are available.